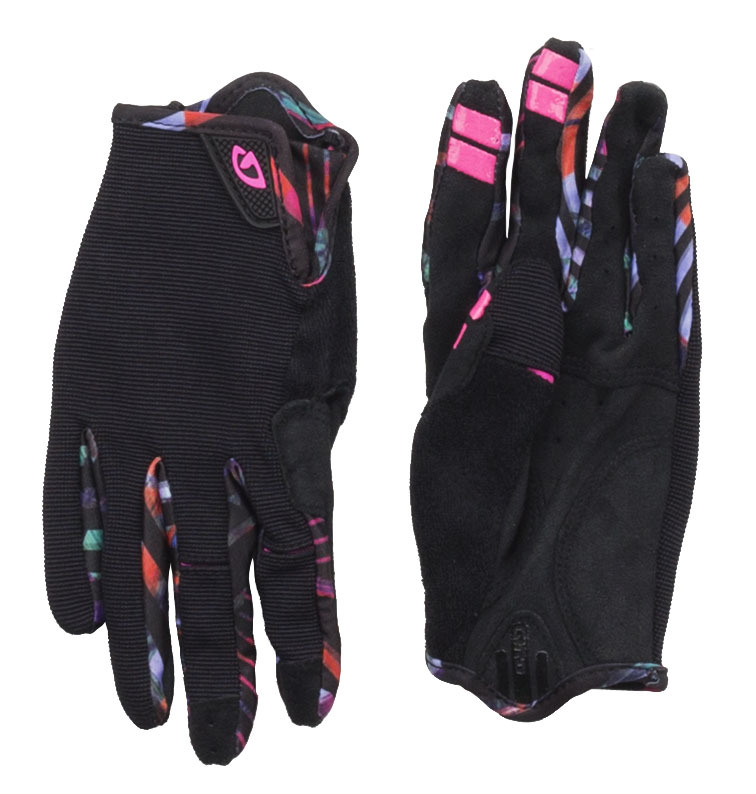 The LA DND gloves features a tailored design for women, offering a snug fit and incredibly easy to slip on. 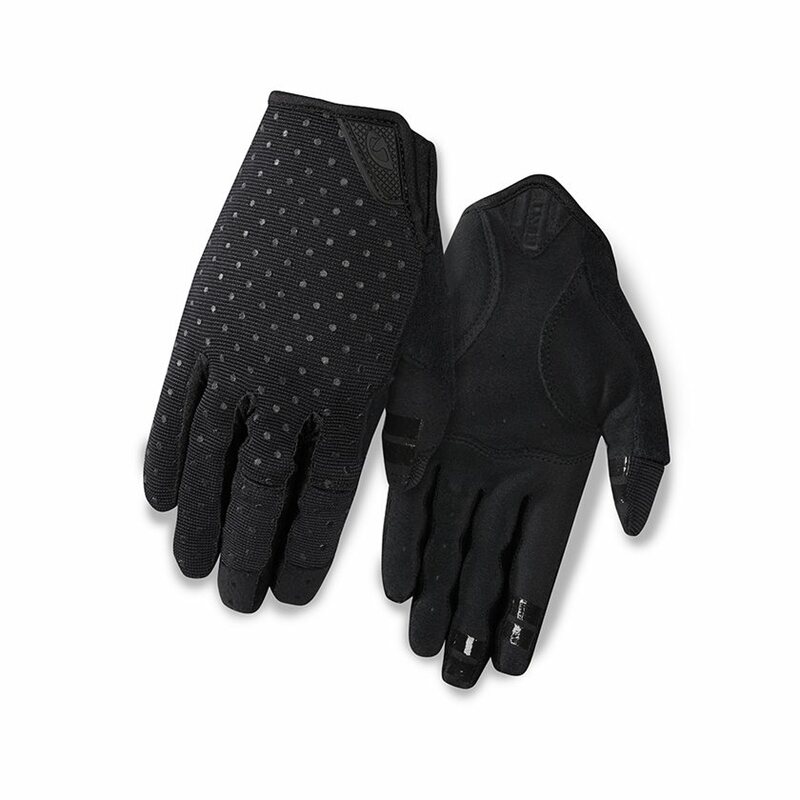 These gloves are lighteweight, crafted together with breathable mesh, acting like second-skin, to protect you from a light chilll, debris and other elements that come your way. With flex zones at the knuckles, your hands will be comfortable when you grip your handlebars into turns. With reinforced fingertips and 2mm EVA crash padding, the LA DND gloves have the durability to accompany you on any adventure you decide to take. Conductive fingertips are touchscreen compatible - No more taking off gloves to answer the phone! 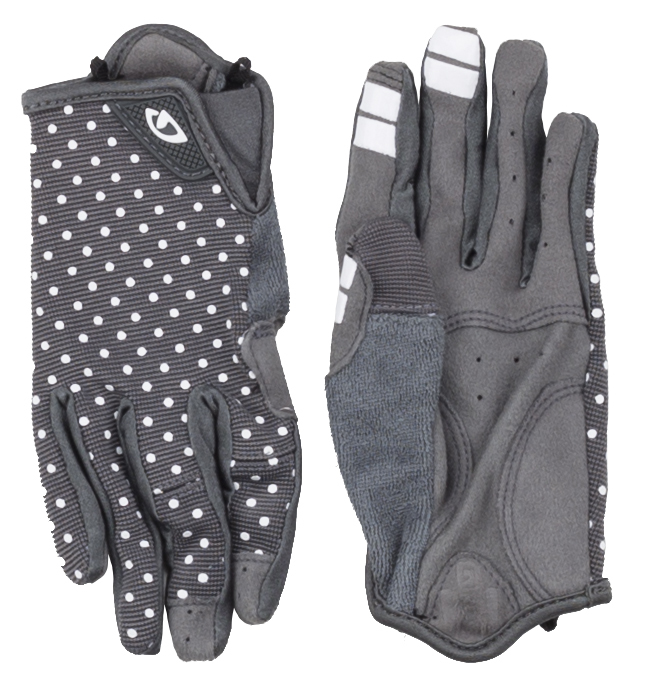 I love these gloves, used them (and washed them) at least twice a week for long rides for almost a year and they only got a small hole and the fabric never stretched. The touch fingers work great and they have good grip on road breaks. I found them in a local store and bought the same model again. I bought these for my daughter and they fit well. 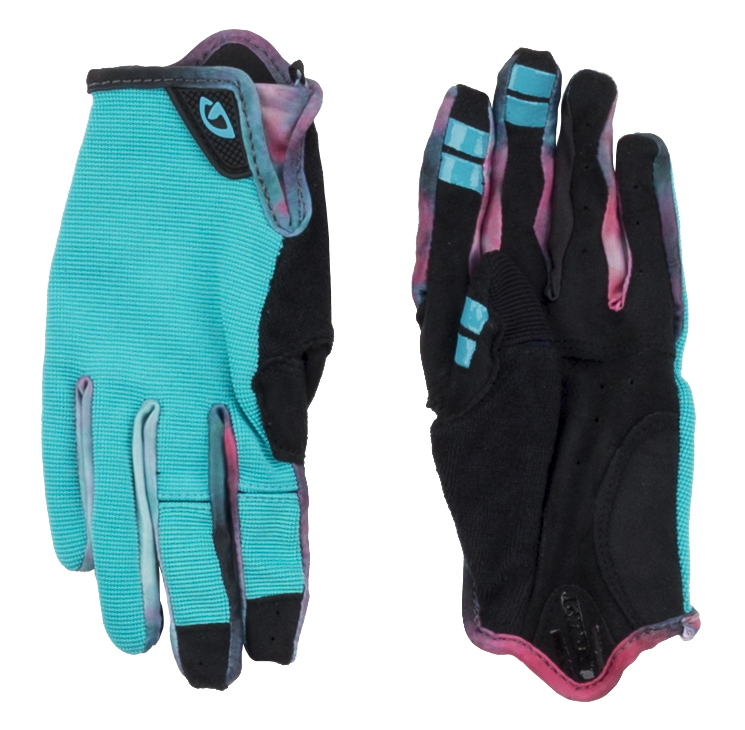 This is the second pair of Giro gloves I have bought for her and neither of us have any complaints. I'd give them 5 stars but I since I'm not wearing them I can't give a detailed description.